Despite there is no consensus about the true top 5 factors for Google (they are always changing), when we analyse what experts as Matt Cutts (head of Google’s Webspam team), and great SEO consulting companies like Moz (they often do surveys with hundreds of SEO experts), say, we find a common ground that indicates the stepping stones for a strong web traffic in 2016. Bringing a large traffic to your website is directly related to being well ranked by Google, and it no longer happens as the same way as in the past. Do not waste your time with obsolete methods like buying links, publicity editorials and traditional SEO only focused on Keywords. It is not about numbers of links, but the quality of them. The Google’s algorithm has evolved a lot in the last years, and soon or later your artificial strategy will be identified, and they will remove your website from the first positions. 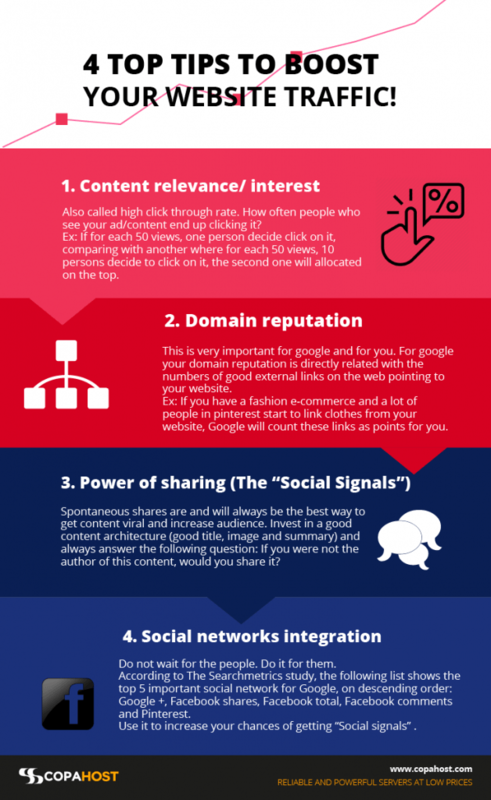 Here you find great tips for creating a good profile to Google search and increase the true traffic to your website. Also called high click through rate. How often people who see your ad/content end up clicking it? Ex: If for each 50 views, one person decides to click on it, comparing with another where for each 50 views, 10 persons decide to click on it, the second one will allocated on the top. This is very important for Google and for you. For Google your domain reputation is directly related with the numbers of good external links on the web pointing to your website. Ex: If you have a fashion e-commerce and a lot of people in Pinterest start to link clothes from your website or a big digital newspaper for example, Google will count these links as reputation for you. Important: Do not buy or try to do artificial partnerships for new links. Your SEO will be penalized. Do your job, share your content, and when the others good websites start link with you, your website you will see the difference. Do not wait for the people. Do it for them. Facilitate their lives. Distribute your content on social networks. This is where your content will shine. Spontaneous shares are and will always be the best way to get content viral and increase audience. Invest in a good content architecture (good title, image and summary) and always answer to the following question: If you were not the author of this content, would you share it? Produce your own content is the key. Google will know if you are copying other people’s content and this will put you at the end of the line. 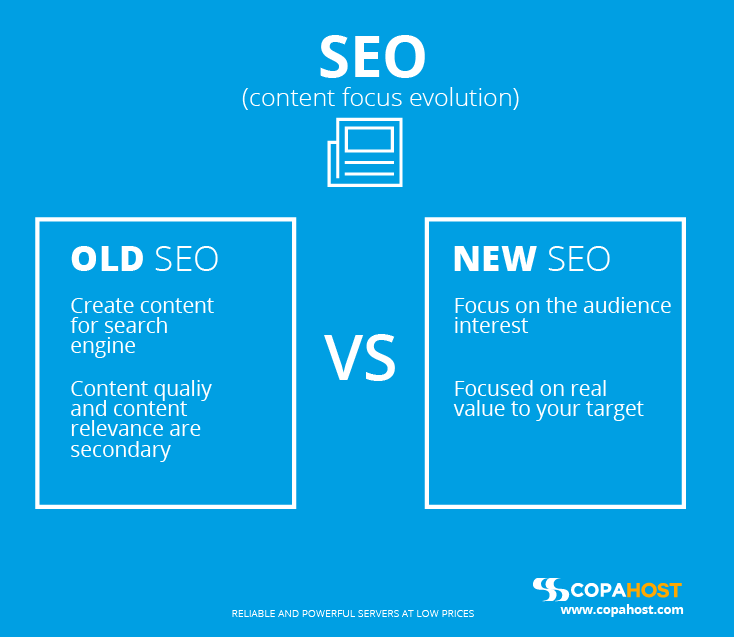 Invest in producing your own good content and you will see the result in SEO. The Keywords are still necessary, but little will be useful if they are not coherent with the rest. Title, abstract, and main text need to speak the same thing, they should have terms with clearly related meanings. This will give you many points in the Google algorithm.